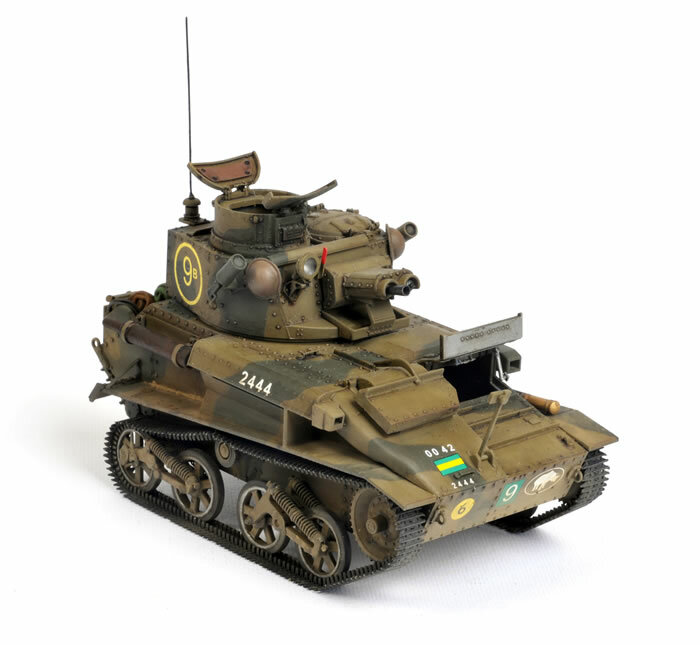 Here is Vulcan Scale Models' 1/35 scale Vickers Light Tank Mk.VI B.
Al Bowie's detailed in-box review may be found by following this link. 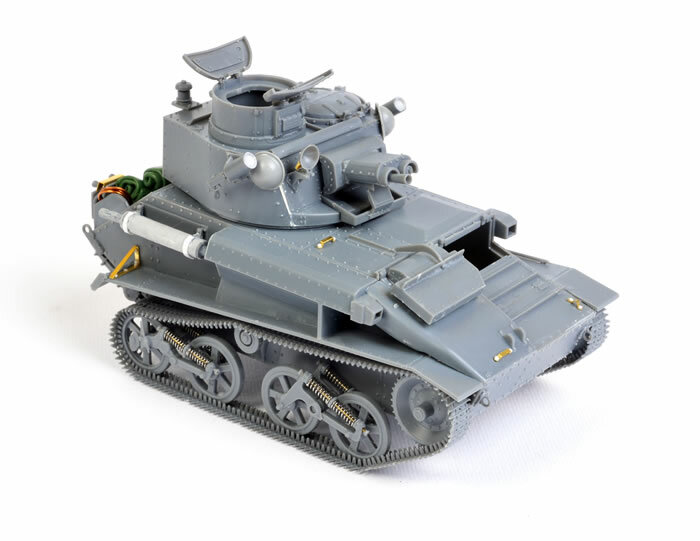 This was an enjoyable build featuring excellent fit, but some of the very small parts and delicate assemblies - especially the double-sprung bogie units - probably makes it best suited to experienced modellers. The link and length tracks look great on the finished model, and were surprisingly fast to assemble. I did not do much extra work on this one. 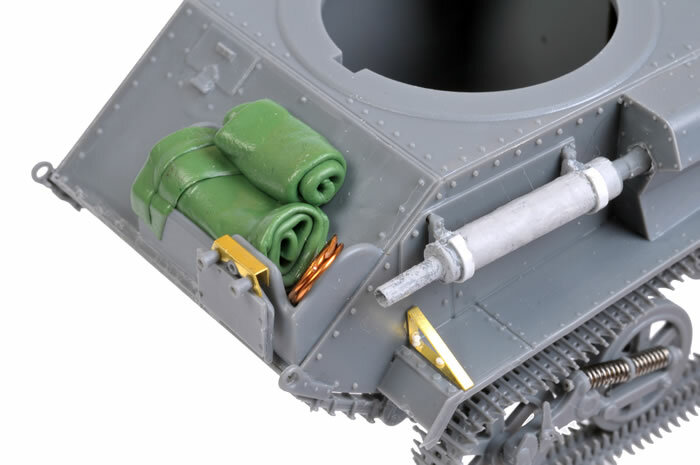 The main additions were a couple of rolled tarps and a hand towel on for the rear stowage box (from Kneadatite two-part epoxy), a length of rolled copper wire representing a hose, texturing the muffler and exhaust pipe, and hanging a couple of helmets from the front corners of the turret. 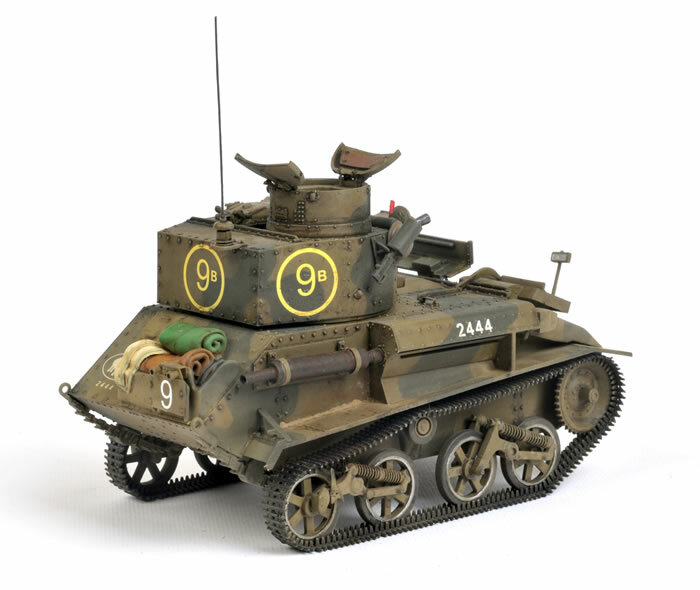 The distinctive early-war colours for G3 Khaki Green and G4 Dark Green were mixed from Tamiya paints. The instructions' formulae match Mike Starmer's suggestions for these colours. The kit decals were used. They performed very well. 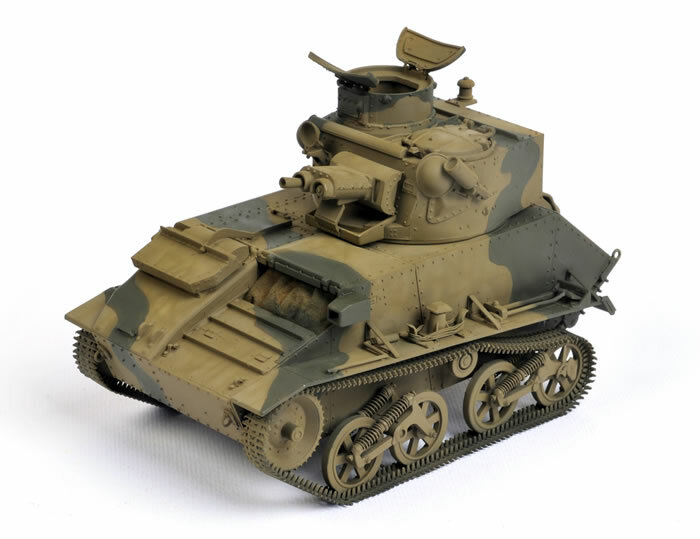 Vulcan Scale Models' 1/35 scale Vickers Light Tank Mk.VI B is the subject of a detailed Construction Feature in Issue 67 of Model Military International magazine, available from 6 October on newsstands or online from ADH Publishing.